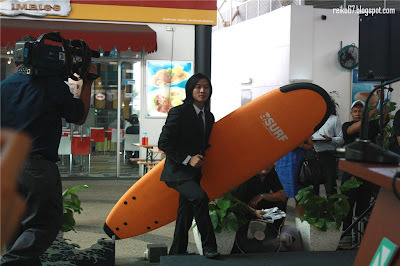 Ride The RM3 Million Wave! Together with some fellow blogger friends, I was invited to witness the launch of one of Petronas biggest promotion campaign in year 2010 - 'PETRONAS The Road To Rewards' Promotion. The launch was held at Petronas station Jalan Kolam Ayer Lama, Ampang. 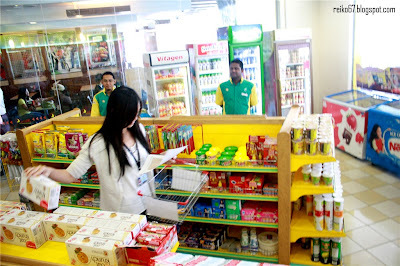 Seriously I never been to a petrol station which was so amazingly spacious around. 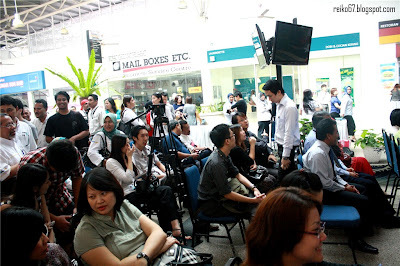 There was stage set-up, seats for member of medias, people from Petronas Dagangan Berhad and so. Quite an eye-opening event for me. Everybody was waiting anxiously on their seats, for the launch event to start. 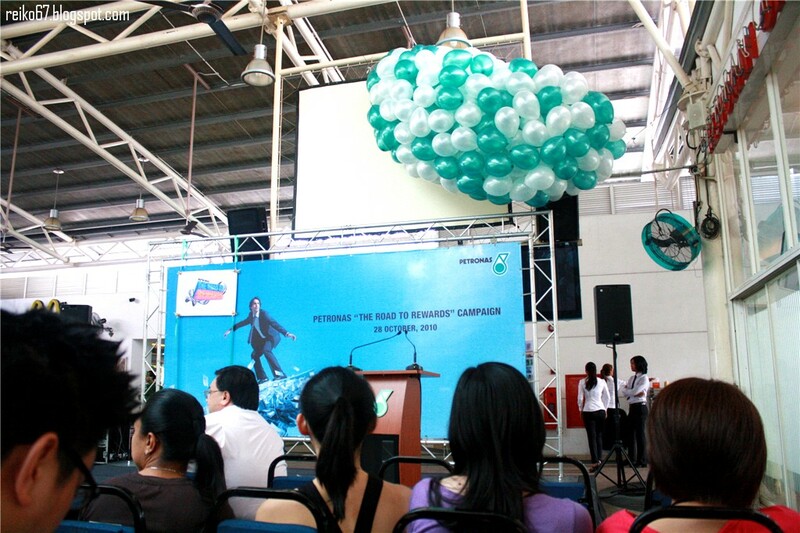 Can foresee that the place is going to fill with balloons later on! All the witnesses for this big promotion campaign! 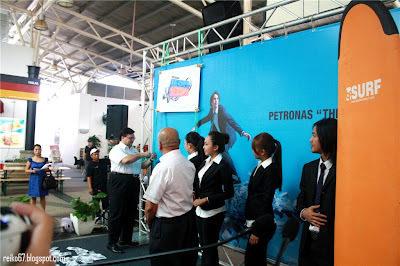 The event starts around 10:30a.m once the VIPs has arrived, although I was still a bit blur due to tiredness from outstation work, I just can't wait and hold on my eagerness to see what Petronas have prepared for all of us. Welcoming remarks from pretty emcee. Opening speech by General Manager (Retail Business Division) of Petronas Dagangan Berhad - Encik Zainal Abidin Othman. 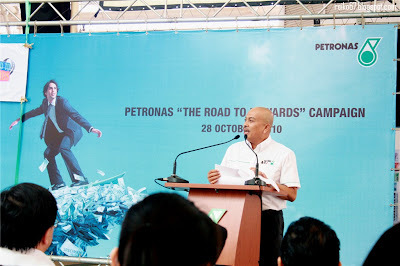 Not long after the speech, the emcee asked Encik Zainal to remain on stage, at the same time, invited Encik Amir Hamzah Azizan ( Managing Director/ Chief Executive Officer of Petronas Dagangan Berhad) to do an official launch for 'Petronas The Road To Rewards" promotion. We saw a macho man, riding the wave all the way towards the stage! Encik Amir cutting the ribbons, and officially launched this exciting promotion!!! 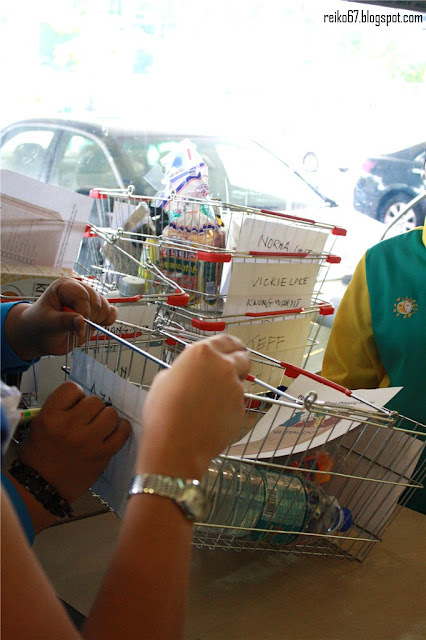 For a RM30, it may become RM3 million! NO JOKE, SERIOUS!!!! From 1st of November all the way till 15th of February 2011 (3 and 1/2 months time wei!!!! ), THREE LUCKY CUSTOMERS will walk away with RM100,000, while twelve customers will win RM20,000 and fifteen others will be taking home RM10,000!!! That's not all! There's still so much weekly prizes, weekly shopping spree contest and spot the promotion car stickers contest will be going on throughout the whole campaign. Guess what, Petronas will be given away RM3 MILLION in prizes to 8912 Petronas customers across Malaysia throughout this "The Road To Rewards' campaign!!! 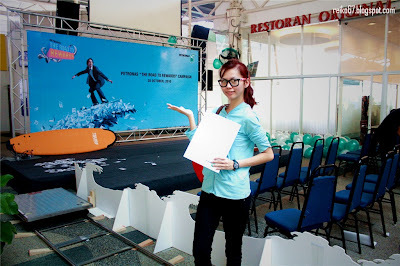 And YOU, maybe just one of the lucky winner who will walk away with all these fantabulous prize!! Who knows right!? 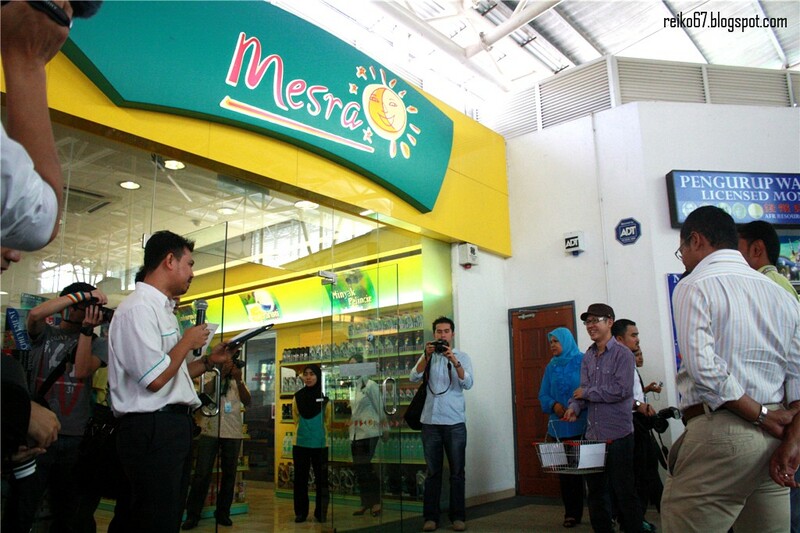 After a shortwhile of photo opportunity with the models and the VIPs, here comes one of the highlight of the launch event - Kedai Mesra Shopping Sweep! Contestants are given 45 seconds to search for all the items in the list in Kedai Mesra, the one who get most of the list done and without exceeding RM200, wins!! 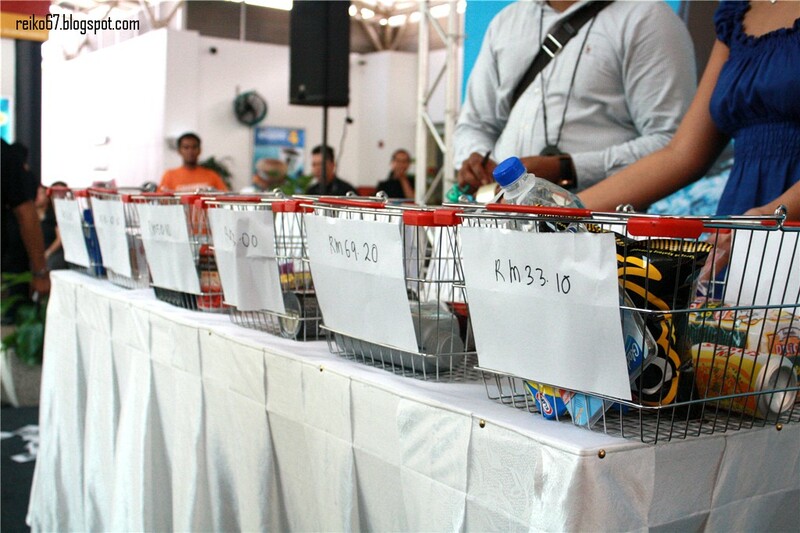 Some more, all the contestants get to keep whatever they put in their baskets!!! I want to participate also!!!!! 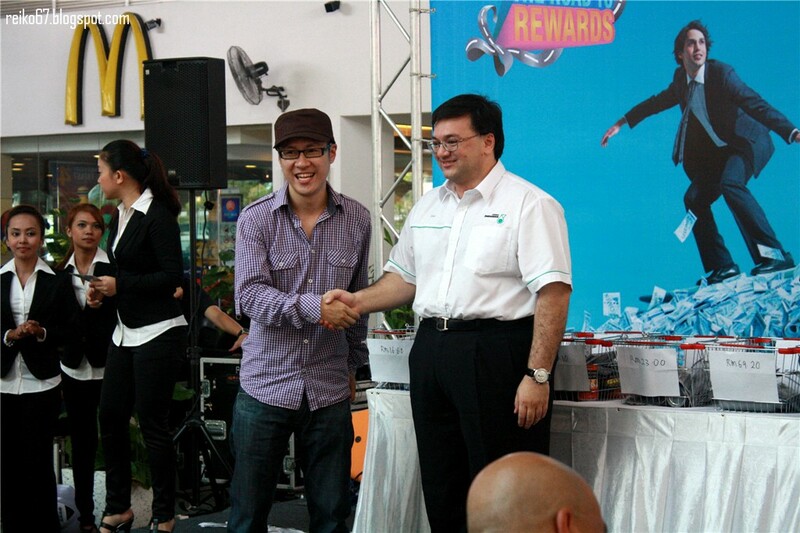 Lucky draw time! 6 lucky person will be getting the chance to be among the FIRST Malaysian to participate in this Kedai Mesra Shopping Sweep contest. Here's all the SIX contestants, including MyFM DJ Jeff!!! Woot!! 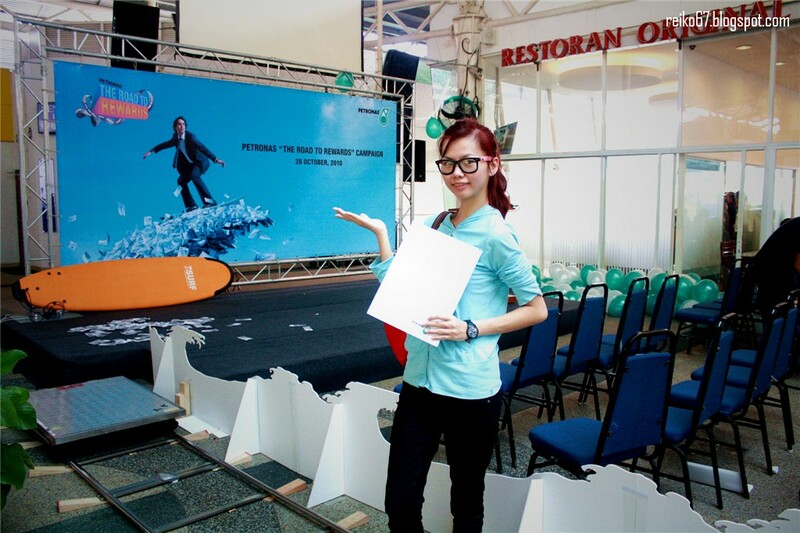 Rules and Regulations time, and we can see contestants are eager to get themselves some goodies!!! 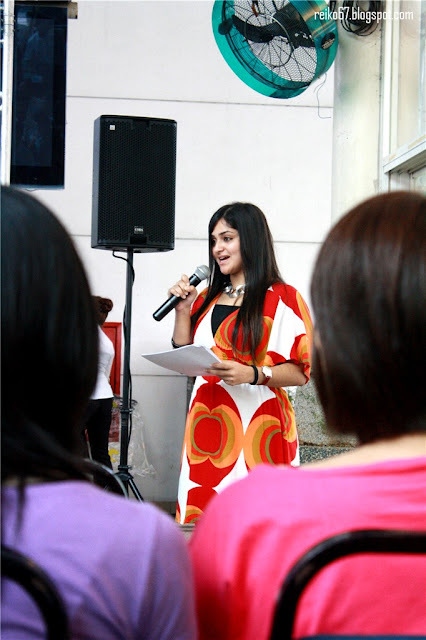 Here goes the first participant!! 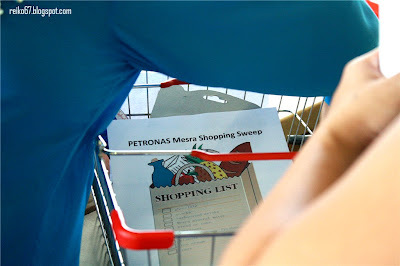 Searching around Kedai Mesra to get the things matching with the list sometime is quite a hard task! You'll even get 'Paparazzis' snapping photos and videos of you while you shop! It seems she's good at Shopping. I can see him panicking don't know what to get.... LOL! 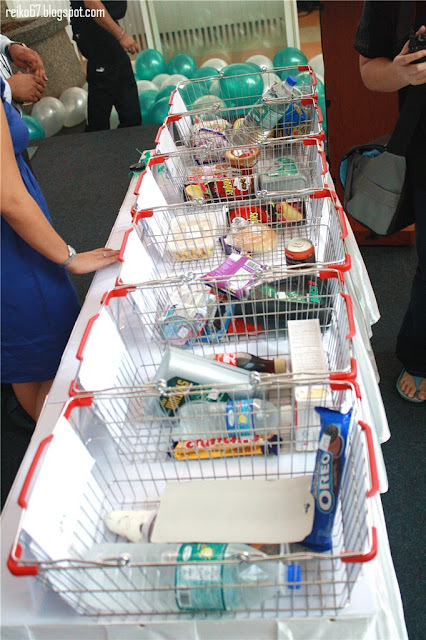 Contestants' baskets.... I wonder who will win! Here's all the stuff they 'SWEPT' from Kedai Mesra! Can you see who is the winner?????? 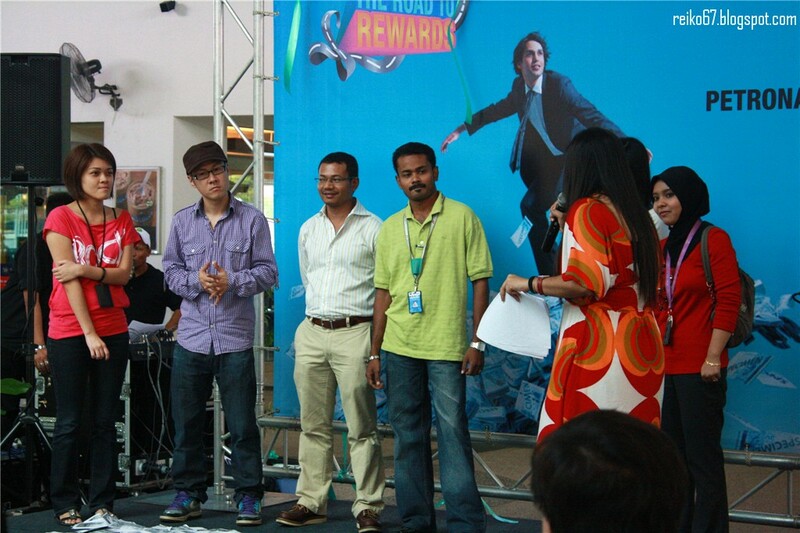 The other 5 contestants are still going to get away with RM100 cash voucher from Kedai Mesra!!! How great!!! 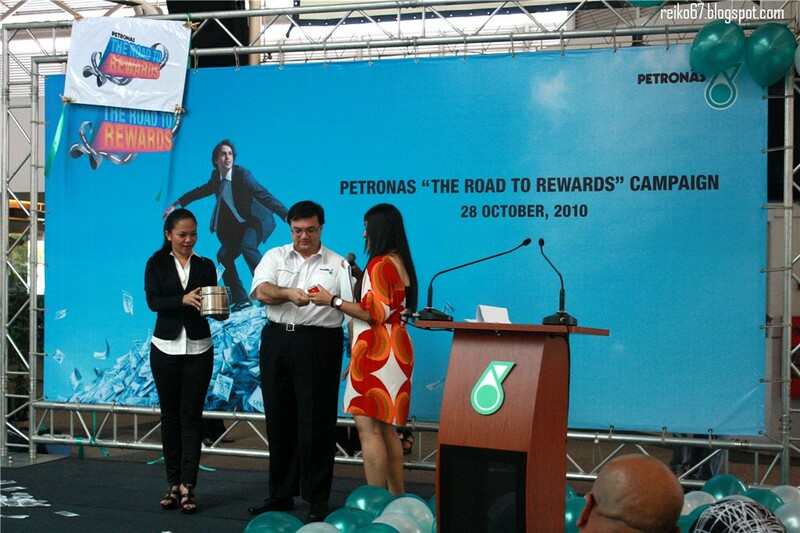 1st of November marks the start of 'Petronas The Road To Rewards' Campaign! 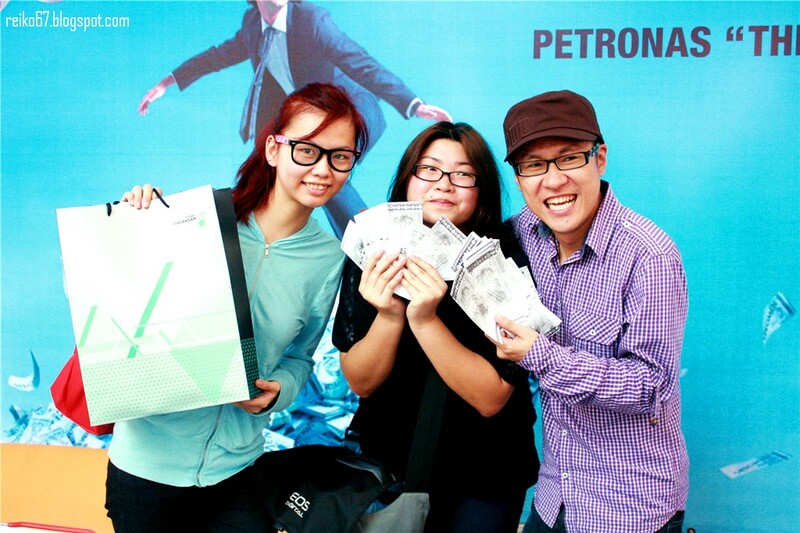 Don't forget to 'get rewarded' from Petronas!!!! LOL! Just saja wanna show off me and Tammy took photo with Jeff!!! Hahahahahahaha!